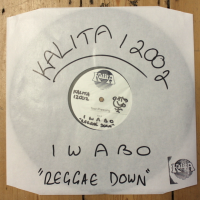 Kalita Records and CC:EDITIONS (a new venture by Australia’s CC:DISCO!) 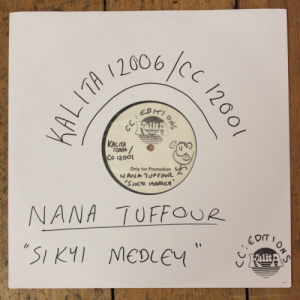 jointly release a 12” EP comprised of four of Nana Tuffour’s greatest electronic burger highlife tracks, accompanied by interview-based liner notes. Here, in partnership with Nana, we select two highly sought-after songs from his 1993 release ‘Genesis’, namely ‘Sikyi Medley’ and ‘M’Anu Me Ho’, and pair them his with two lesser known yet equally deserving tracks ‘Asamando’ and ‘Jesus’ from his 1997 CD-only release ‘Highlife Tropicana’. 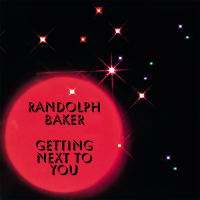 With great support so far from Gilles Peterson, Hunee, Antal, Norman Jay, Palms Trax, Alexander Nut, Dan Shake & Bradley Zero! 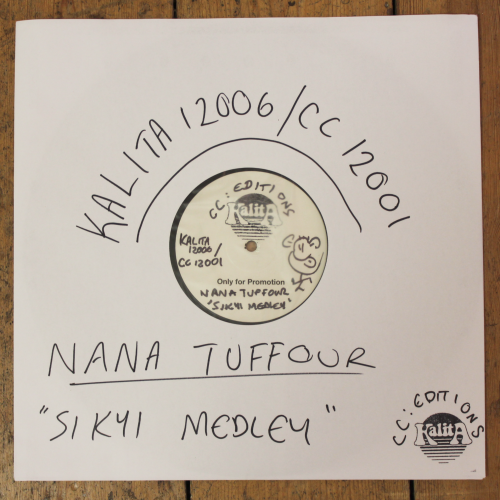 Hailing from Kumasi, the capital of the Ashanti region in Ghana, Nana Tuffour is by far one of the most important exponents of modern highlife music. He studied piano at college and cut his teeth in the ’70s as an organist and vocalist for the incomparable Kyeremanteng Atwede and Dr. K Gyasi’s Noble Kings Band. 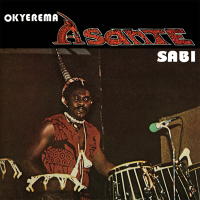 Fast forward to 1981 and Ghana was at the apex of its golden age of music. This era was brought to an abrupt end by political upheaval when the military took over the government and as a result a restrictive dusk to dawn curfew was imposed between 1982 and 1984. This resulted in a total obliteration of the country’s night life, and Nana just like many other prominent musicians including Pat Thomas and George Darko left Ghana for greener pastures, the most popular destinations being Nigeria and Germany. The Rheinklang Studio in Düsseldorf run by a young inimitable German sound engineer Bodo Staiger and another “exiled” Ghanaian musician Charles Amoah played a crucial role for those musicians who had chosen Germany. This studio became the focal point for Ghanaian musicians and the birthplace of a new sound, now known as ‘Burger highlife’ – traditional Ghanaian highlife infused with the more up to date electronic and disco sounds of the West. It is arguable that Nana has played a crucial role in Burger highlife and developing the sound of traditional Ghanaian highlife more widely to what it is today, with his innovative use of electronic accompaniment pushing its boundaries to its creative extremes. It is Burger highlife’s transcendence of traditional musical boundaries that helps make it so accessible to listeners, appealing not only to Ghanaians back home but now highly regarded and sought-after by those in the West interested in more occidental disco and electronic sounds. We hope that you enjoy the four songs offered here, each chosen to demonstrate Nana’s singular influence on the development of Burger highlife.